Despite great screenshots like this, through no fault of its own, I am not clicking with this drama. This brand of humor isn’t having the intended effect and only makes me cringe at times. I don’t understand where her character is coming from. If Nae Il fell in love with a guy cuz she got to know him better, that would be one thing. But at this point she is no different from all the other girls swooning over him on campus – except for the one fact that she doesn’t seem to value herself that much. I literally scowled during each scene she chased after him and threw herself at him. If there was a genuine basis for her adoration, I could understand, but she is falling over herself for a guy who shows her disdain. I just don’t get why she has to be this naïve and throw herself on him time and again just to be rebuffed. Was talent the only gene she inherited from her parents – did they never teach her to have pride and self respect? On a musical level, she is talented enough to stand her own against him, but on everything else, she falls short – especially the maturity to differentiate between love and infatuation. I get that he will eventually start to have feelings for her once he realizes that she matters to him and that’s why he went out of his way to cook and clean for her, but right now this relationship is tipping way too much over to her end. Problem is she doesn’t have all that much to hold onto cuz he is too intent on avoiding capture. A few episodes down the line, if their mutual respect for each other’s talent is the only foundation for them to base their relationship on, it makes me wonder what kind of future they would have together. As it stands, I’m not sure I will be around to find out what happens next. *Sorry but I won’t be recapping this show anymore. DB’s recaps are posted next day and subs are super quick for this I heard so I’m certain fans will not have to wait that long to enjoy new episodes. After watching this first episode, part of me was kicking myself for not watching the Japanese version to prepare. If quirky campy humor is your taste, this is right up your alley. As for me, it’s no secret why I am recapping – there is only one reason why I tuned in and you are looking at him. 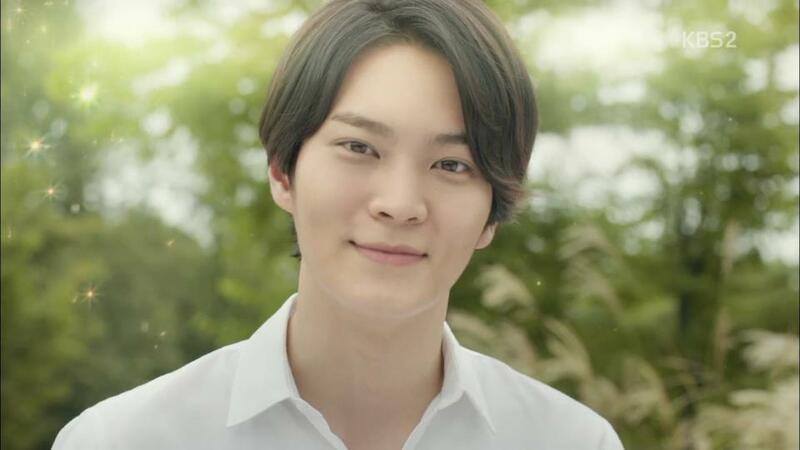 I debated all weekend whether or not I had the energy to recap two dramas for the next two months and my immediate answer was “heck no.” Then I had to remind myself this is Joowon we are talking about. 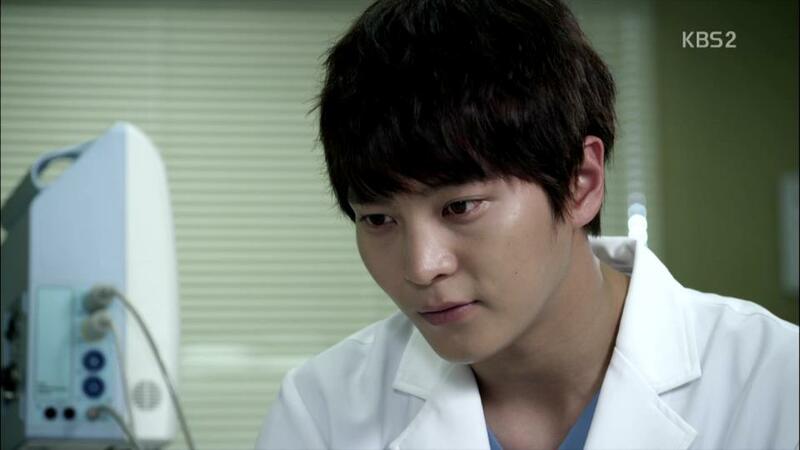 He is on a drama that could easily surpass how amazing he was on Gaksital. I’m sure he was great on Level 7 as well, but I don’t want to compare serious roles with light hearted ones. If I had to pinpoint one main deterrent – to put it bluntly, there are just too many names to memorize on this show and I hate subjecting readers to my abbreviated ones. Problem is, some of these characters are so despicable, I just don’t want to bother memorizing their names. I don’t blame the show at all. In fact, this drama is very well received here in Seoul. Friends who rarely watch dramas are tuning in to catch it cuz they really love the acting and story. 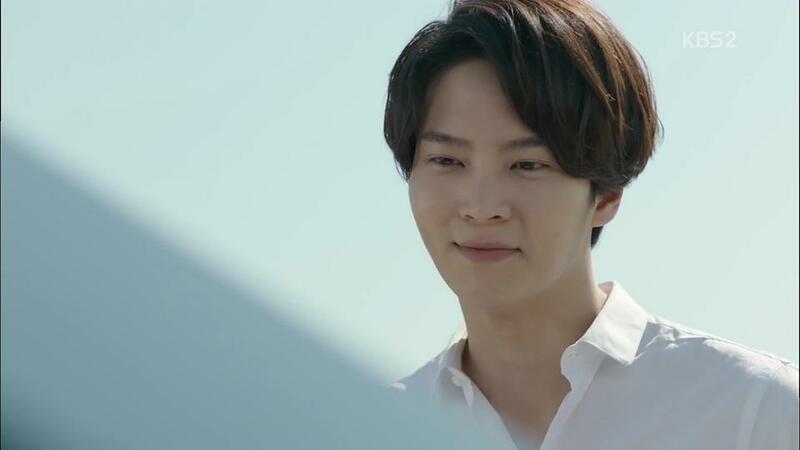 There are no action scenes and nothing scary jumps out on the screen, but this show has something else going for it aside from Joowon – a story with possibility to go beyond what’s just on paper. This is the big question for me though – how much corporate back stabbings must we wallow through to see the good come out victorious in the end. After watching E3 just now, I have my answer. 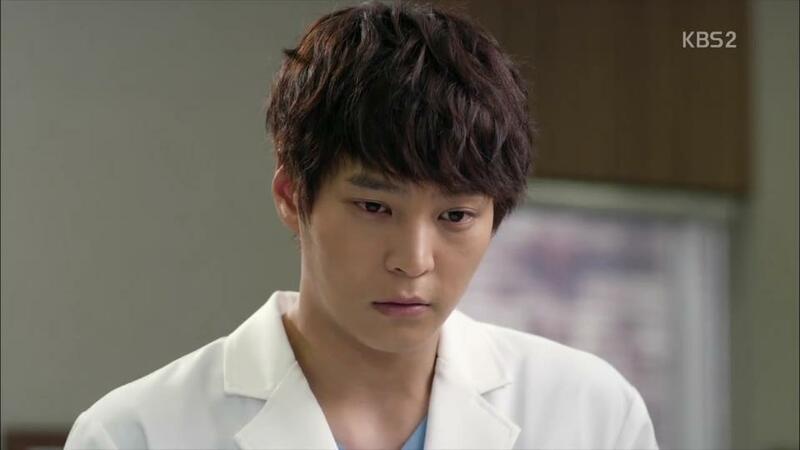 This drama is sort of like S’s heart – sincere and genuine, but not appreciated. There are some really great character building scenes and I can already see a few episodes ahead – the cracks that are forming in shattering some of the mistrust and misunderstanding regarding S. If any of these awful doctors have any soul left in them, they will let S set an example and lead the way in patient care. D called his behavior robotic and accused him of only caring about saving lives, but being methodical has its advantage sometimes. You can have a cooler head and carry out your duty more efficiently. More importantly, D would never have said that if he hears S quietly thanking each kid for surviving. Sometimes it’s not enough to just perform the surgery, you have to care from the start to be sincere about saving lives. In real life, kids do this all the time. Their honesty makes the grownups stop and realize their faults and mistakes. That’s what S is doing at this hospital one case at a time. He might be burning bridges left and right accidentally now, but give him some time and I bet when he leaves this hospital, he won’t be going out as quietly as he came in. He will have a crowd of patients and staff gathered around him in tears. It’s one thing to lay down your life to save a boy you consider your son, but a whole different story if you know the truth that the boy is half gumiho. 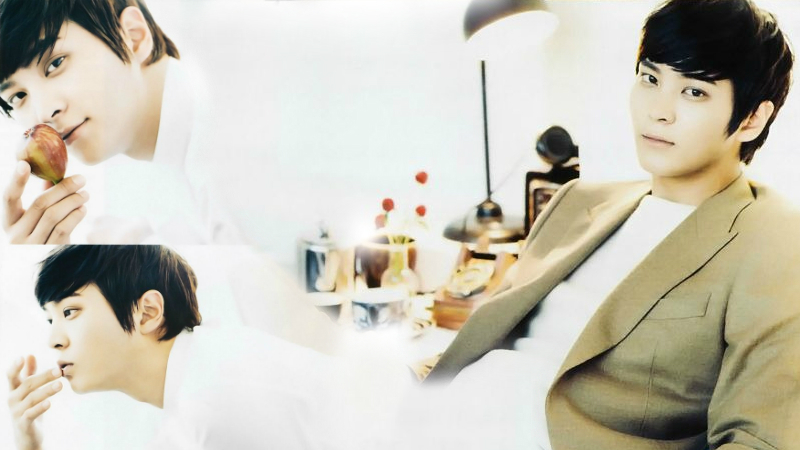 I can’t help but wonder if the dad would have given up his life so graciously to save KC if he knew who KC really was. To him – all this time KC was the boy who brought him luck and fortune and grew to love him as his own son, but I feel like a part of him would have hesitated to take the sword for KC if the dad had known KC’s true heritage. That’s why I am really grateful that the dad didn’t know anything when he made his ultimate sacrifice. As a father of two children of his own, he owed it to them to be their father first and foremost, but he endangered his life to save another man’s son. If he had known the truth about KC, I don’t think he would have done the same thing. Even KC’s own mother needed time to come to terms with who KC might grow up to be and she chose not to live out her life with him. By being in the dark as he made his sacrifice, this one monumental act of love might end up being that beacon that will light up the moments of darkness KC will have to face in the near future as he learns about who he is and come to terms with it. Whatever happens now – no matter how many friends and loved ones end up turning their backs on him, KC will at least have this moment to hold onto for comfort– proof that at least one man genuinely loved him enough to die for him. When everything falls into place, we get drama gold. Most aim for it, but very rarely achieve it. Just a handful make the cut each year, but once they manage to grab our attention and our hearts, we never let go. These dramas become a part of our lives and we embrace what it means to us for quite some time. Some never even leave our thoughts while others fade into the past as quietly as they entered. That is the evolution of Kdramas. They’ve come a long way. How much more they grow and change, we will be here to keep track. I would say don’t let us down, but every year they never do. Daebak quadrupled! Get ready to fall in love all over again in a whole new way. He looked amazing tonight – his hair and outfit too. Before this show aired, I wrote “I want them to show us what makes this guy tick. What keeps him grounded and humble to keep him from letting all this fame go to his head? What makes him someone worthy of all this attention?” Not only did I get my answers before they even hit the halfway mark, but I also got them in the most sincere and heartwarming manner. That’s JW’s trademark way of doing things. He sweeps you off your feet in the most subtle way and next thing you know your toes are reaching for the ground cuz you stay uplifted – floating on a cloud of infatuation with no hope of coming back down to reality. Updated: “Story on” clip with UTW – posted at the end.